The Board of Control for Cricket in India (BCCI) has announced the Indian squad for the first 2 ODIs against Windies. It was expected that the regular skipper Virat Kohli will be given a break again. But Kohli will lead the side and take over from Rohit Sharma who had captained the side in the Asia Cup 2018. The selectors have decided to hand the maiden ODI call-up to Rishabh Pant. MS Dhoni will be the first choice keeper while Rishabh gets a chance after his impressive showing in Test cricket recently. Dinesh Karthik has been axed from the side after he put in mediocre performances in the Asia Cup. The regular seamers Jasprit Bumrah and Bhuvneshwar Kumar have not been included in the squad. They will continue resting after the selectors had opted to give them a break in the ongoing Test series. Mohammed Shami returns to the ODI setup once again and the young pacer Khaleel Ahmed retains his place. 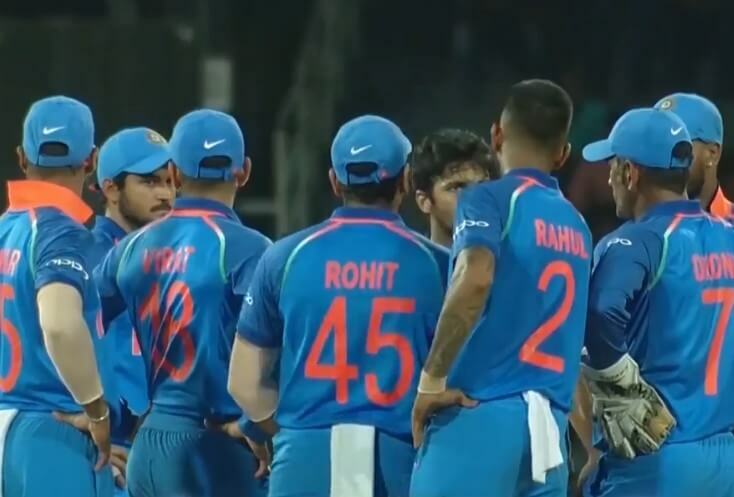 The 14-man squad also features Ravindra Jadeja who had made a return in the Asia Cup after Hardik Pandya was ruled out with an injury. Jadeja had impressed in a couple of games which helped him retain his place. He will be the 3rd spinner along with Yuzvendra Chahal and Kuldeep Yadav. Pandya’s injury still keeps him out of the side. India, after the completion of the 2-Test series, will face Windies in 5 ODIs starting October 21. The matches will be hosted by Guwahati, Visakhapatnam, Pune, Mumbai and Thiruvananthapuram.